Now that we have finished our astronomy topic, we are moving on to the human body. We started off by learning all about bones and the skeleton. 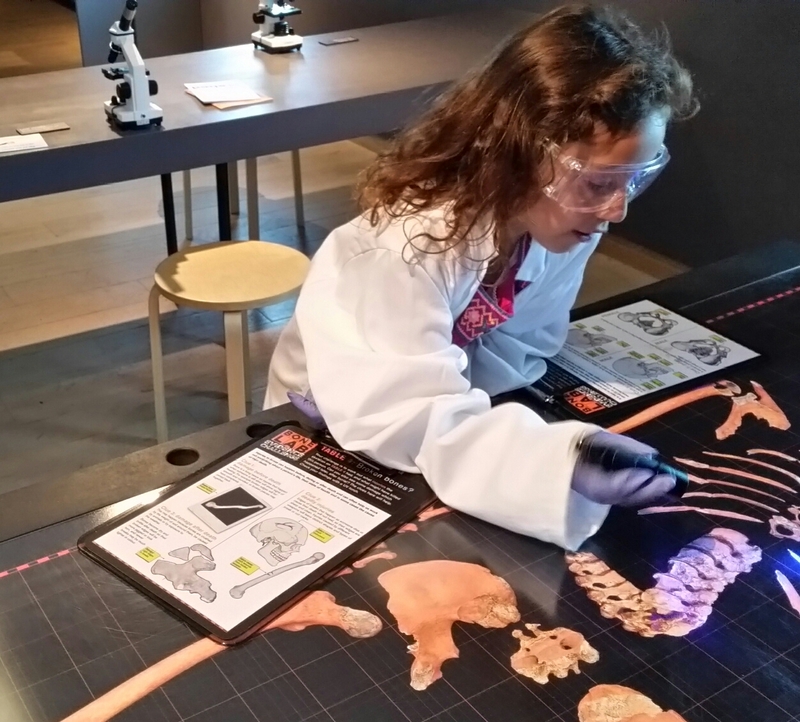 We started off with piecing together a puzzle of the skeleton and talking about the different bones in our bodies. 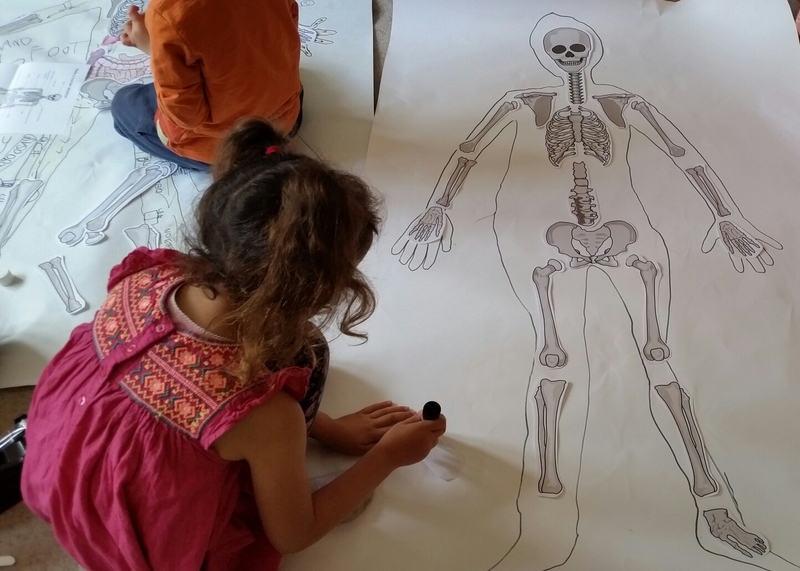 The children felt each body part and tried to locate and feel for the different bones. Next we got large pieces of paper and drew around the children. They had cut outs of bones on paper and they had to glue the bones in the correct places on their bodies. Next, we spoke about the different types of joints which join our bones together and allow us to move our bodies. We spoke about hinge joints and ball and socket joints and how they allow the body to move in different ways. A hinge joint in the arm, allows it to move backwards and forwards but not side to side or around in a circle. We made hinge joints using three cardboard tubes, some wire and a cut out of a hand. Here you can see how we joined the three tubes together with the wire. This allowed us to be able to move the arm forwards and backwards. Next, we made a ball and socket joint. These joints allow us to move our bodies in different directions; forwards and backwards and round in circles. 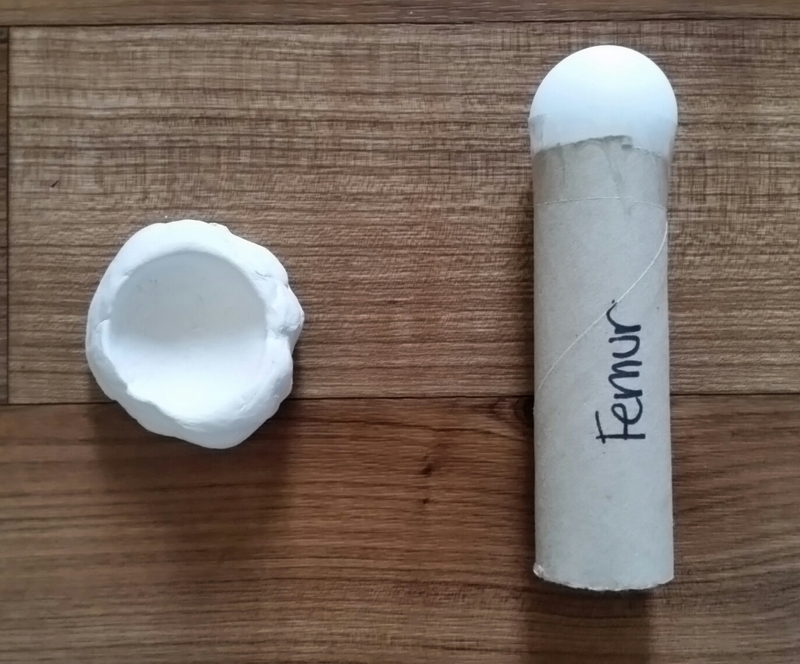 We made these out of a cardboard tube, a ping ping ball and some white clay. We stuck the ping pong ball to the top of the tube with some tape. 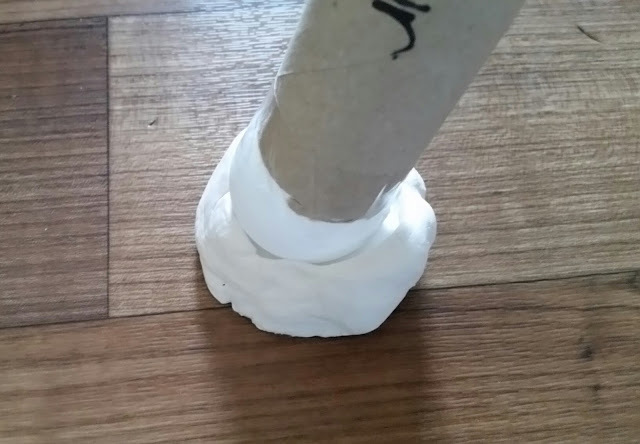 Then we used some clay which had been shaped into a socket to finish the joint. The children had lots of fun exploring this joint and how easily it moves. Then it was break time. 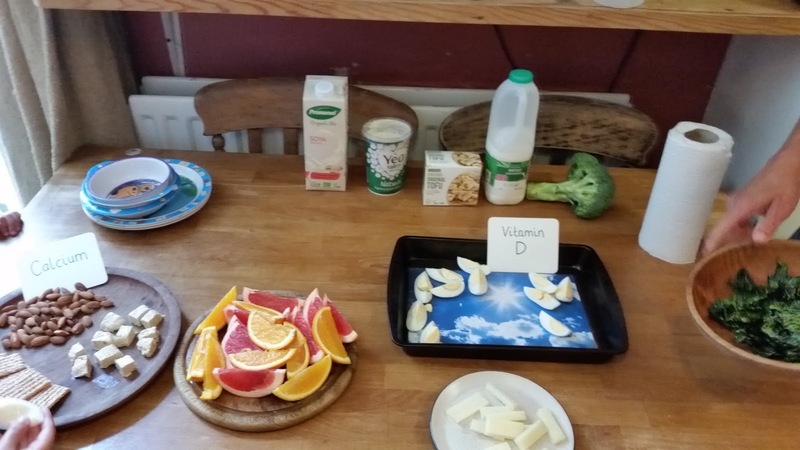 We looked at all the different snacks that are good for your bones. Foods rich in calcium such and broccoli, kale, milk, yoghurt, cheese, nuts and sesame seeds. A lot of these foods also contain Vitamin D which is also excellent for healthy bones. Oranges and eggs are also good sources of vitamin D, as is sunlight. 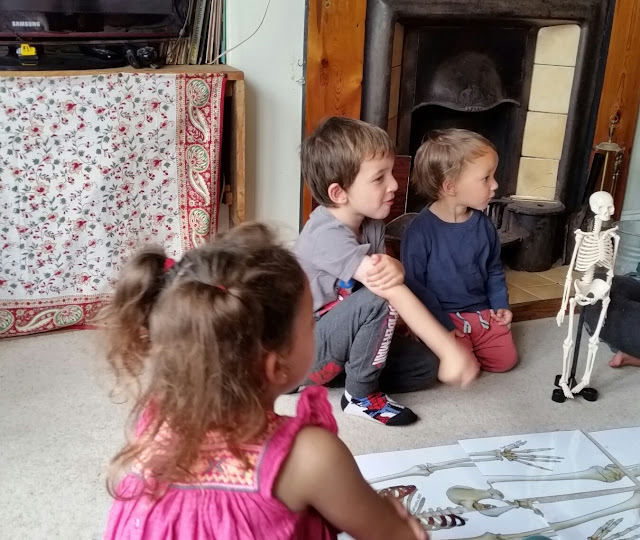 While the children were enjoying their snack for healthy bones, we listened to the 'Skeleton Dance' song and the children had good fun joining in with the dance moves and singing along. Finally, we read the story 'Funnybones' which I remember being a favourite book from my childhood. It is such a funny story about the adventures of some skeletons who go out in the night. The children loved listening to this story. 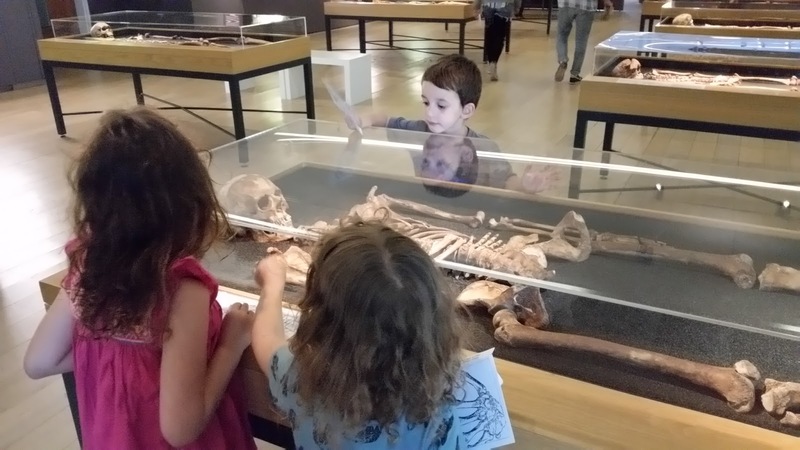 After we had finished our activities in the house, we went to the local museum to see the skeleton exhibition. There was a room full of skeletons in glass cases, all from different eras. 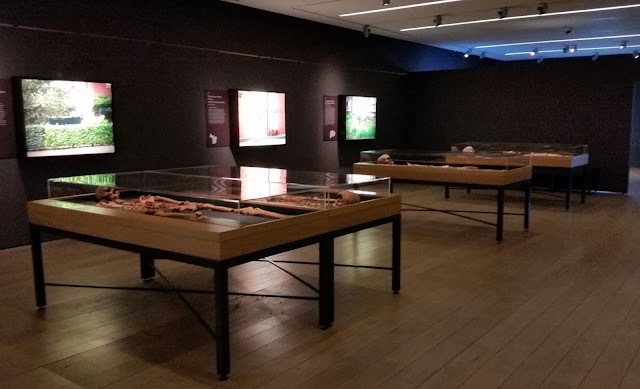 They had all been excavated either locally in Bristol or in London. 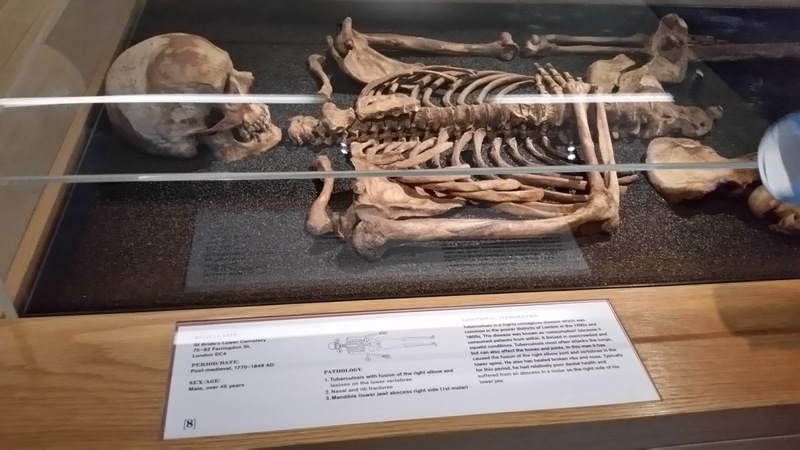 There was a written summary of each skeleton explaining where the skeleton was found, how old it was and what the bones showed us about any injuries or illnesses the person would have had. 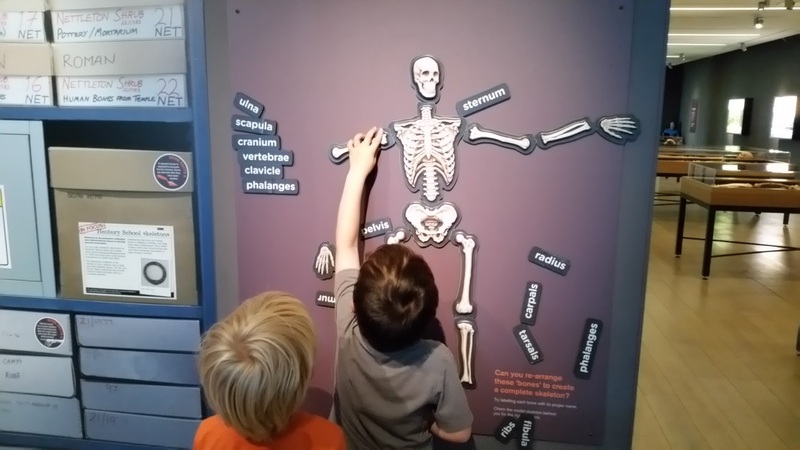 The children had great fun looking out for clues in the bones about these injuries. They looked for signs of broken bones, bones which had been broken and then healed and osteoarthritis. There was even one skeleton that had an arrow head stuck in it! Next we moved on to the interactive section for children. 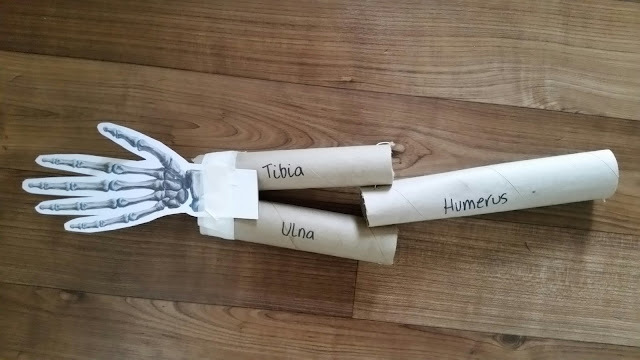 R and his friend had fun piecing together the bones to create the complete skeleton. 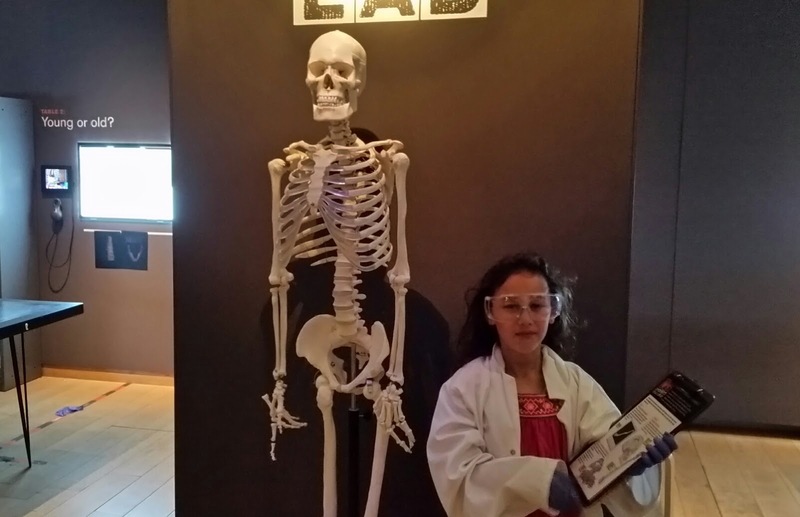 Next, the children dressed up as Osteologists, people who study bones. They put on gloves, a lab coat and goggles. R looked at pieces of bones under a microscope. D explored a skeleton with a UV torch. The children had a lot of fun role playing. What a fun day we had learning all about the skeleton in a practical and interesting way! That, definitely, was a fun day for the children! Hehe home education is so much fun! Thank you. There are so many crafts you can do with cardboard tubes. Very versatile! 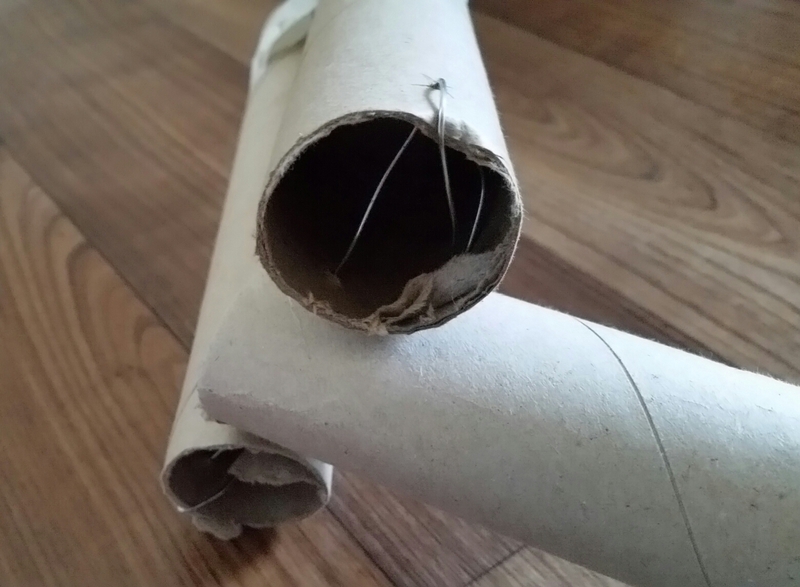 Maybe you can use cardboard tubes as dinosaur bones and make a dinosaur skeleton! The joints activities were really interesting for us adults too! Wow this sounds so interesting! 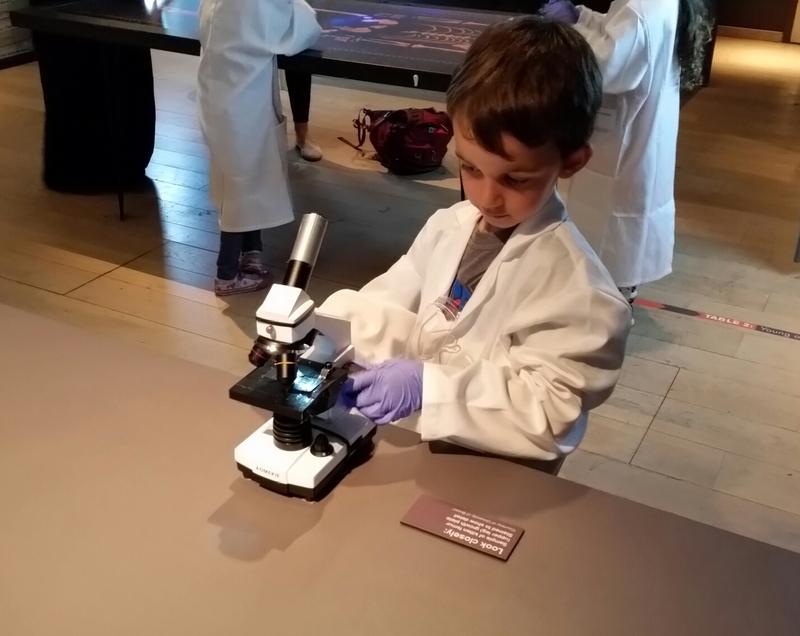 My daughter loves science and would have absolutely loved to do this! 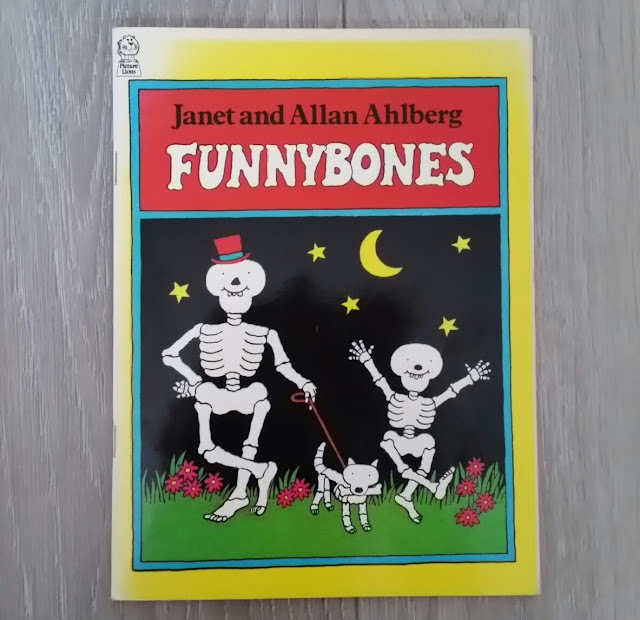 I remember Funny Bones too, was it a series on TV as well? Why don't you try a few of these activities with your daughter? She'll love it! So fun! 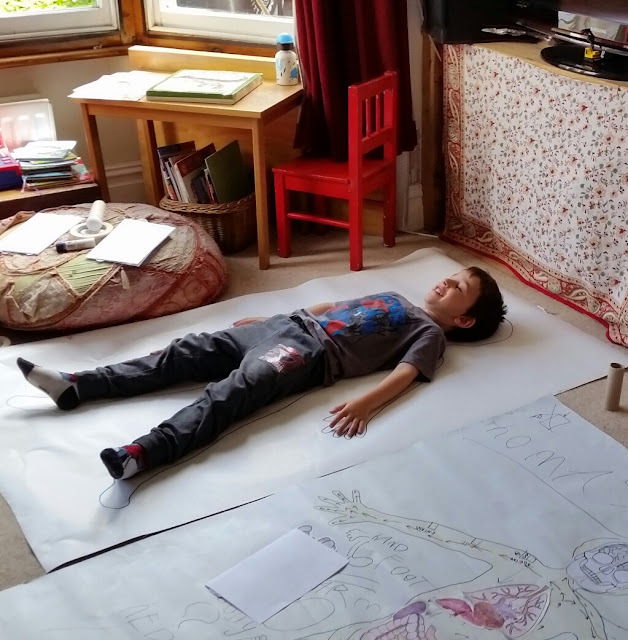 We tried making life sized human bodies but my boys were not at all interested (and mostly grossed out) by the few mini units I had planned so we decided to set them aside and try again in another year or two. Oh that's a shame. 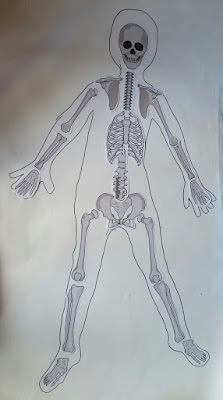 My kids are loving learning about the human body at the moment. Ma sha ALLAH sounds like a long and exciting day! After reading this, I feel like I do nothing for/with my daughter (she is 1 year old!). While I try to do reading, etc with her I would surely like to have her engage in more activities. 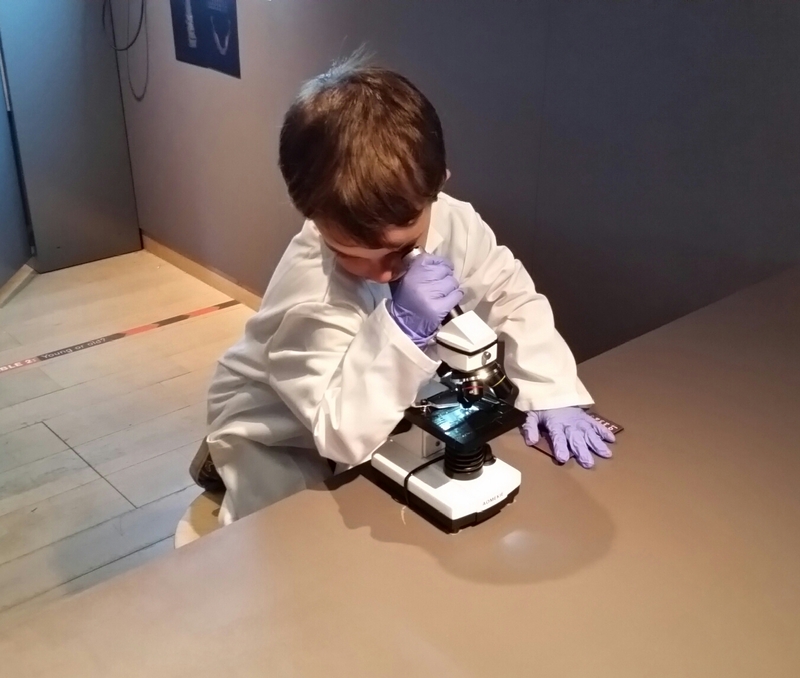 Do let me know if you have any ideas for 1 year old's educational activities. I will surely share it with my family for my nieces and nephews (in sha ALLAH). 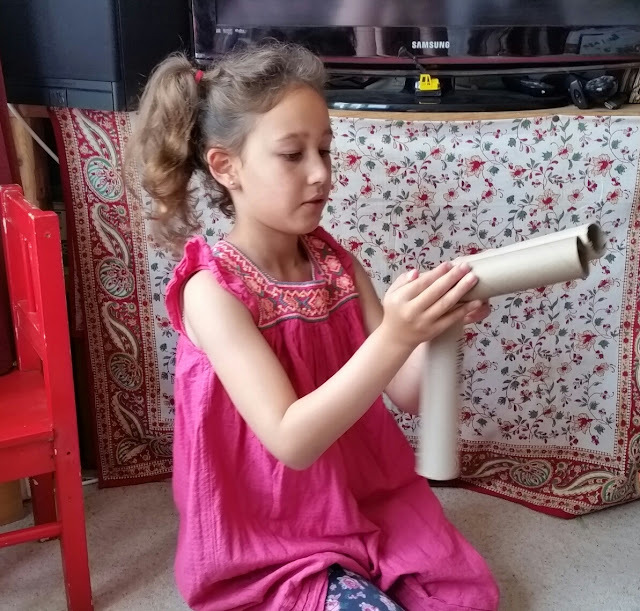 You can do so much with cardboard tubes. Definitely worth saving up a stash of them. OMG! This is so creative. 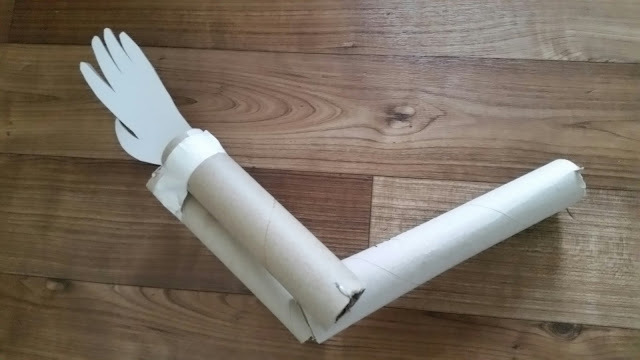 Cardboard tubes are never gonna be thrown away in my house anymore inshaAllah. Thank you. Yes keep them all. There are so many things you can do with them!